As the refurbishment work of the Corn Exchange continues, our Sunday morning chamber concerts take temporary residence at the Attenborough Centre for the Creative Arts (ACCA) at University of Sussex, Falmer. 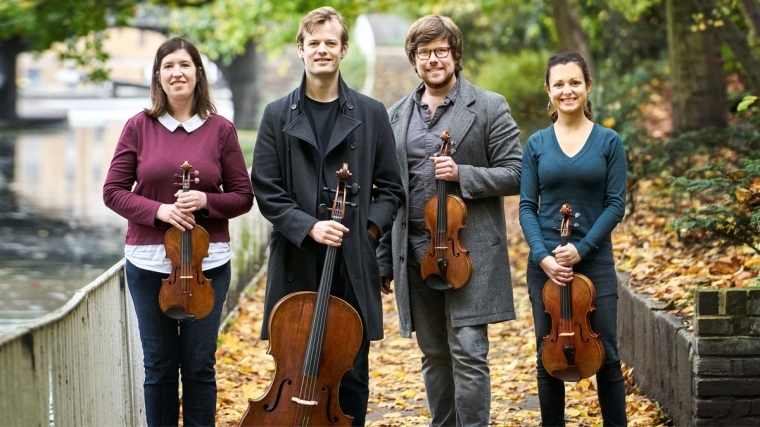 Since its acclaimed Coffee Concert series in 2017, the Castalian Quartet has received the prestigious inaugural Merito String Quartet Award & Valentin Erben Prize and won a Borletti-Buitoni Trust Fellowship Award. The Quartet return with the brilliant Hungarian pianist Daniel Lebhardt for Brahms’s Piano Quintet which, in its anguish and fiery intensity, is a dramatic tour de force. Beforehand, Haydn’s milestone Op 20 quartet is from the set that defined the genre in its formative years, while Elgar’s late masterpiece is characterised by a warm yet restrained eloquence.